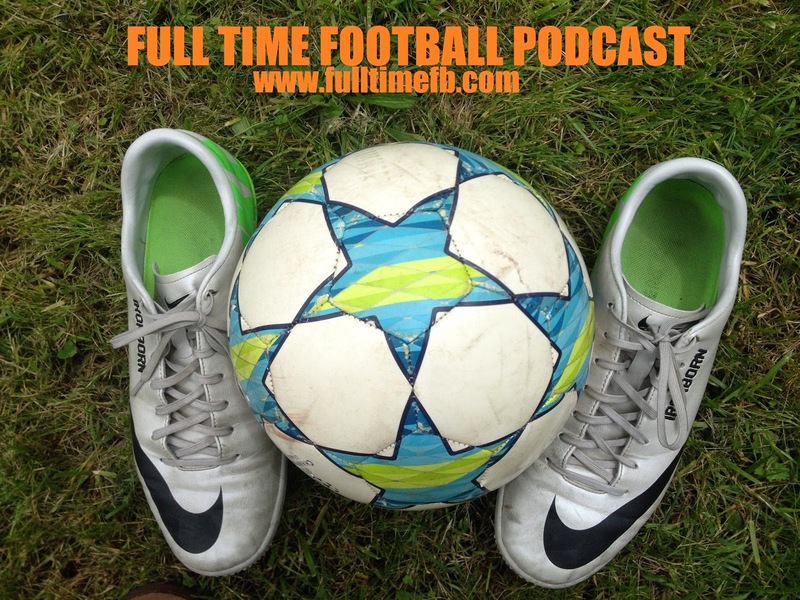 Hello and welcome to Episode 22 of the Full Time Football Podcast, as always, I am your host Alex Schaffer. I come to you live from a slightly hungover Pittsburgh, Pennsylvania, just 14 hours after the United States won the biggest game in the history of our footballing nation. It was an absolutely incredible scene at the Claddagh, I really hope all of you had an atmosphere like that to watch this match in. Let’s just jump right into the match highlights from yesterday. The United States and Ghana took the pitch in Natal with the 14 American Outlaws left behind in Guyana in attendance at the Estadio Das Dunas. After three days and four countries they final reached their destination just before match time. After the national anthems, it didn’t take long for the action to get started. Just 30 seconds into the match, Clint Dempsey struck after some nice passing with Jermaine Jones, skinned John Boye and found himself 1 on 1 with Adam Kwaresey. He made no mistake with the finish, a beautiful left footed shot that found the inside of the post and nestled into the netting. The pub exploded with cheers. Beer was sprayed everywhere, it was just incredible. Once the celebrations died down, it was a very nervous affair. Ghana enjoyed a lot of possession and the match had an edge to it. Jozy Altidore went down with a hamstring injury, Clint Dempsey was kicked in the face breaking his nose in the process, and another hamstring injury to Matt Besler certainly made the game more difficult. Jermaine Jones and Sulley Muntari clashed and inexplicably neither received a yellow card. The United States continued undeterred, defending deeply when necessary and managed to go into halftime banged up, but no worse for the wear. Ghana enjoyed the vast majority of possession with 59% on the day. They had an incredible 21 shots, but only managed to put 8 on target. Asamoah Gyan, Jordan Ayew, and their teammates were wasteful with their chances. The US tried to park the bus, but were broken down in the 82nd minute. Asamoah Gyan played a beautiful back heel pass into the path of Andre Ayew who smashed a shot with the outside of his left foot past Timmy Howard. Howard was fantastic on the day, but was unable to get to this one. At this point I was thinking that I would be happy with a draw and contemplating ways that the US could still qualify from the group, but Jurgen Klinsmann had other plans. With one of our few corner kicks on the day, the substitutes Graham Zusi and John Brooks combined for the moment that allowed the US to overcome their World Cup nemesis. Zusi sent in the ball, Brooks met it with his head and sent American Outlaws around the world into raptures. John Brooks said he had a dream of scoring in the 80th minute, well this one happened in the 86th in a truth is stranger than fiction finish to an absolutely incredible match. In other news that is fortunate for the United States, Germany demolished Portugal 4-0. Thomas Muller was the star of the day with a wonderful hat trick that means that at the age of 24, in 7 World Cup matches, Muller has 8 goals. He opened up the scoring in the 12th minute from the penalty spot after Mario Gotze was hauled down in the penalty area. Things never really improved for Portugal, because in the 32nd minute Mats Hummels rose above Portugal’s defense to head home a Toni Kroos corner kick. Then Portugal’s misery compounded because Pepe lost his mind. After hitting Thomas Muller in the face, he bent over, said something and headbutted Muller while Thomas was sitting on the ground. He was immediately dismissed and will definitely be suspended for the next match against the USA. He could also face a three match suspension for violent conduct. These moments of madness are all part of the game and this certainly cost Portugal in this match. Cristiano Ronaldo was never able to find a rhythm and looked awful in this match. He hit a one man wall that consisted of Philipp Lahm, a really impressive feat there. Fabio Coentrao and Hugo Almeida were also injured in this match and both are likely to miss the next two matches for them. Germany finished the match with two more Thomas Muller goals, both from close range. Ze Germans looked absolutely fantastic in this match, they are going to be really hard to defeat in this tournament. In the third match from yesterday Iran and Nigeria played to a scoreless draw. Throughout history there have been a lot of entertaining 0-0 draws at the World Cup, but this was not one of them. Iran gummed up the worlds by playing very narrow defensively and Nigeria were unable to break them down at all. I think both teams will be happy with earning a point from that match, but this match just didn’t have any moments of brilliance. Gianluca Di Marzio is reporting that Chelsea will trigger the release clause for Atletico Madrid’s Felipe Luiz. That would cost the Blues an estimated €25 million. Premier League clubs including Aston Villa and West Ham have been reportedly in the market for his signature. Southampton have confirmed Ronald Koeman as their manager. I mentioned their interest in him a week or so ago and they have finally, officially signed their man. Sunderland have signed former Manchester City goalkeeper Costel Pantilimon. Emre Belozoglu has been sentenced to two months, 15 days in jail for racially abusing Didier Zokora during a match between Fenerbahce and Trabzonspor. Emre has a history of racism, dating back to an incident during his days in Newcastle. He was only suspended for 3 matches rather than the required 4. There’s a great compilation showing Fenerbahce players kicking lumps out of him in response as well as the incident in question. Athlone Town routed Drogheda United 6-0. Phillip Gorman scored twice and was joined by Derek Prendergast, James O’Brien, Sean Brennan, and Ian Sweeney. Bohemians demolished Bray Wanderers 5-0. Daniel Corcoran scored a hat trick just 26 minutes into the match, with two strikes from the penalty spot. Robert Maloney scored an own goal just before halftime and Keith Buckley closed out the scoring for Bohemians. Dundalk and St. Patricks played to a goal less draw in a matchup between the 1st and 3rd place teams respectively. Dundalk keeps the top spot with that result. Limerick defeated University College Dublin. Thomas McManus scored two minutes in and Shane Duggan got Limerick’s second just 3 minutes after the halftime break. Samir Belhout scored in the 59th to make things interesting, but it was not enough for UCD. Sligo Rovers and Derry City played to a 2-2 draw. John Russell opened scoring in the 16th minute for Sligo before Ryan McBride struck twice for Derry. Daniel Ledwith evened things up then in the 34th minute. Neither team was able to break the deadlock after the half. Cork City ran out 2-0 winners over Shamrock Rovers. Mark O’Sullivan scored just after halftime to open scoring and Gearoid Morrissey added the second in the fifth minute of stoppage time. Kansas City walked out 2-1 winners over the Houston Dash. After a scoreless first half, Jenna Richmond opened scoring in the 66th minute off an assist from Erika Tymrak. Becky Edwards then evened things up for the Dash in the 79th. Finally in the 94th minute, Frances Silva broke the deadlock thanks to another Tymrak assist. Sky Blue FC and the Chicago Red Stars played to a 2-2 draw. Amy Mautz opened scoring for Chicago in the 21st minute and Zakiya Bywaters scored 10 minutes later to give them the 2-0 lead. Chicago had a chance to go up 3, but Vanessa DiBernardo’s penalty attempt was denied by the post. Sky Blue got it together after halftime with Lindsi Cutshall getting on the score sheet in the 60th minute. 3 minutes later they struck again with Maya Hayes scoring the marker on an assist from Katy Freels. Portland Thorns ran out 2-0 winners over the Washington Spirit. Jessica McDonald opened scoring in the 11th minute off an assist from Amber Brooks. Brooks also had a hand in the second goal, getting the assist on Vero Boquete’s 78th minute strike. Her first goal as a Thorn. Thorns manager Paul Riley was fined an undisclosed amount for criticizing the match officials.